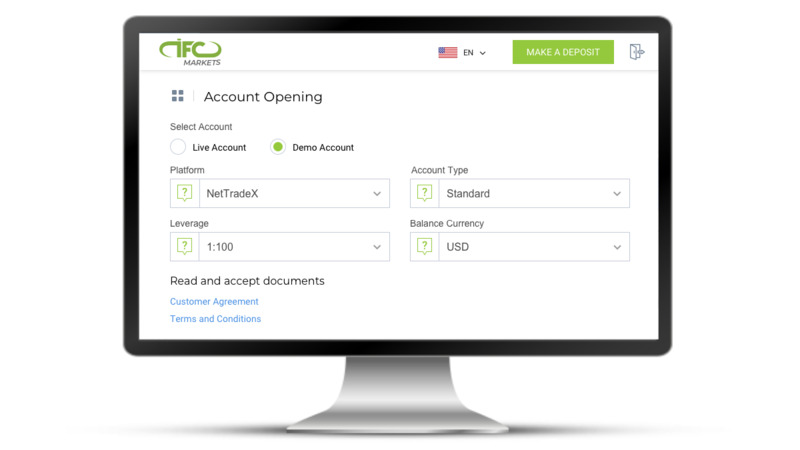 If you have decided to open an account directly from the terminal, make sure you have downloaded NetTradeX trading terminal and have installed it on your PC successfully. 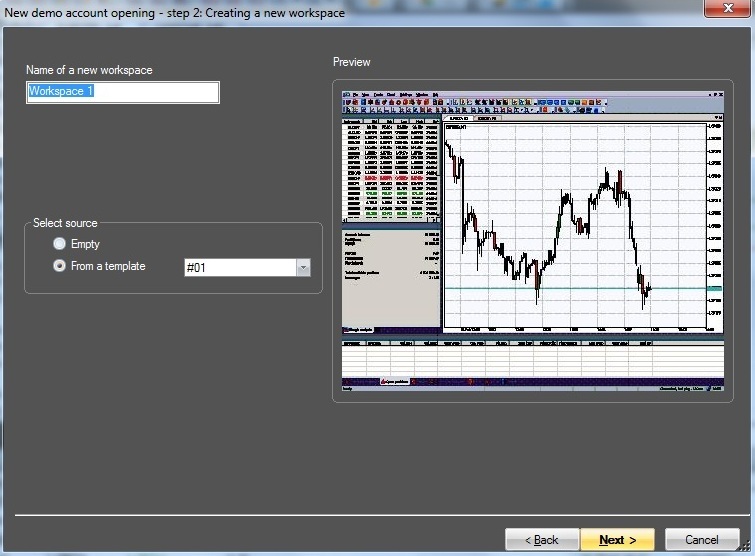 Open the terminal, go to the "File" from the main menu and select "Open new account". 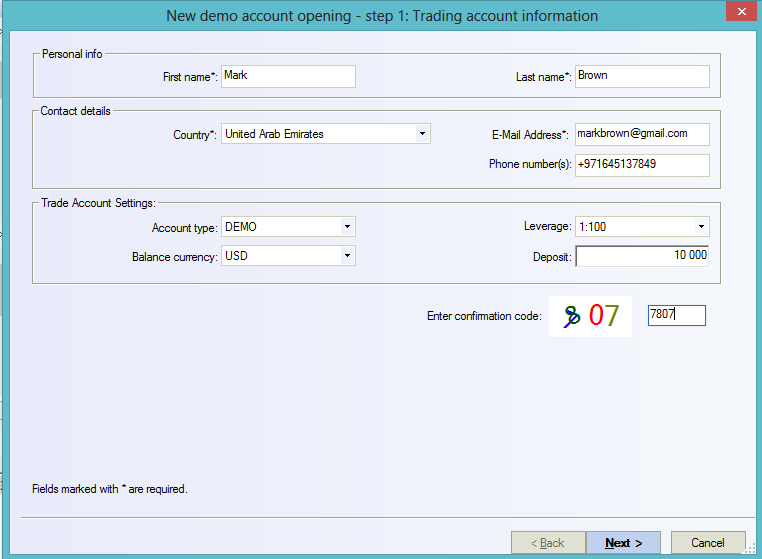 "Select account type" pop-up window will appear, where you need to choose "Open demo account" and press "Next" button. In the opened window, please, fill out the required fields. We strongly recommend you to provide us with valid contact means. After entering the confirmation code, press "Next". In the opened window you will see your workspace. Press "Next" in order to see your account parameters. 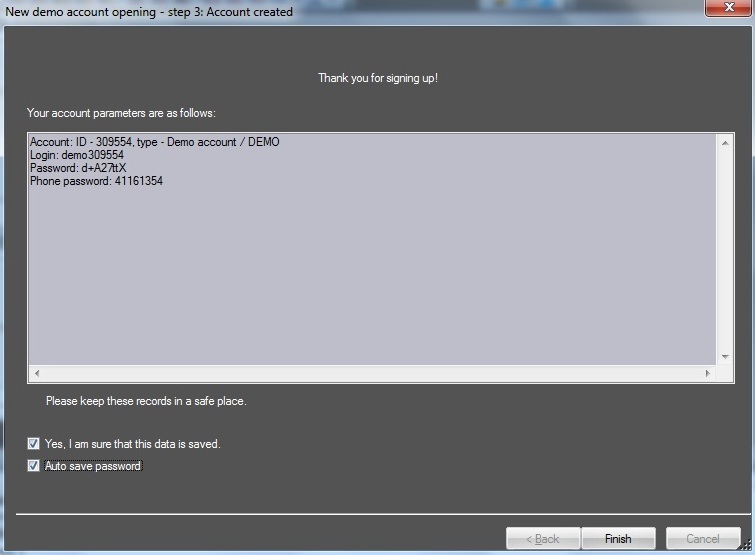 Save the account information, tick check-boxes "Yes, I am sure that this data is saved" and "Auto save password" and click "Finish" to complete the procedure of opening a Demo account. 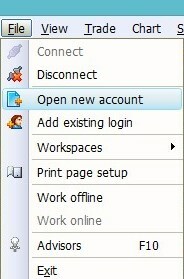 You can see your account in the "Navigator" window in the drop-down list of Logins.